Please email pictures of your art/craft before you download application. Read info below. 2019 CAM Application print and mail with Liability Waiver. How to participate in the Coastal Arts Market. 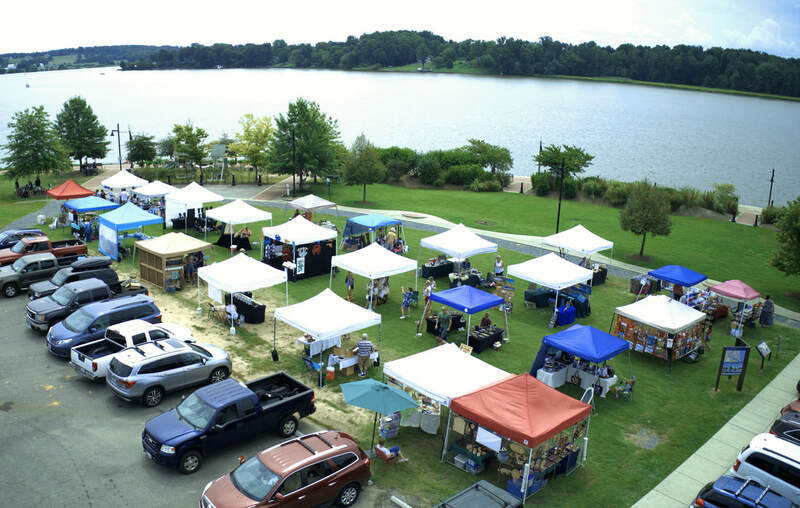 ​Coastal Arts Market Vendor Rules & Regulations ~ Please read. Thank you for participating in the Coastal Arts Market. The purpose of this monthly arts market is to bring quality handcrafted products to the people of St. Mary's County and our many visitors. We promote local artists and crafters and selling American made products. Each artist and crafter are asked to submit via email 3 or more pictures via email of your artwork and a picture of your studio, workshop, work-space, etc. Products sold at the market must be the same or be equivalent to the photographs submitted or the vendor will be asked to leave and the space fee will not be returned. We do this to ensure that the items sold from each vendor are handcrafted by the person applying for space and these pictures will be used on social media to promote you the artist. No commercially manufactured products will be permitted. This is not a flea market or yard sale. Market Fee is $25.00 per 10' x 10' space. A fee of $25.00 is collected prior to the market date. The opportunity to be showcased on our website is offered to each vendor. The showcase consists of a short bio and will include pictures of the artist and work. A fee of $10.00 per month is collected prior to the showcase date. An application is requested. All vendors must apply in advance by emailing pictures of your products to coastalartsmarket@yahoo.com. You will receive an email with your confirmation and a Welcome to the Coastal Arts Market. The evening prior to the market date you will receive another email with a map that shows your booth space number and a suggestion of were to park. Vendors must be present. Market hours are 9:00 to 3:00, Set up is from 7:00 to 9:00. If for some reason you can not be there please email us to let us know so we can close the gaps between spaces. Permits & Sales Tax. All vendors must secure the proper state and or county permits. All vendors are responsible for collecting and paying their own Maryland 6% sales tax and have a current sales tax ID number. Visit Comptroller of Maryland or call 410-260-7980 / 800-638-2938 for an application. Space fees are non-refundable and non-transferable to another date unless we make a decision about severe weather. In the case of bad weather, we will make a decision to open or close. When we make the decision to close you will have the option to move that month's space fee to another month. There is a returned check fee of $40.00. All products sold at our market must be family friendly. Any vendors selling or distributing inappropriate materials will be immediately removed from the Coastal Arts Market and banned from future participation. All vendors who use tents, canopies, umbrellas, etc. are required to safely anchor them. Suitable weight systems include sand or water bags. do not tie tents to trees or bushes in the park, also we do not drive on the grass. Sorry but electric / water hook-up is not available. Each vendor is responsible for removing their own trash. If you brought it with you, remove it from the park when you leave. Public restrooms are located in the small white building on the pier. You are solely responsible for any injuries, accidents, or loss sustained as a result of your vending operations at the Coastal Arts Market. The Coastal Arts Partnership will have no responsibility for any accident or injury caused by your products or displays. Your fees go towards advertising, insurance, and the rental fee for the use of the park. Before you mail the application please email your pictures to coastalartsmarket@yahoo.com and please wait for your confirmation email from us. Thank You. Remember only handcrafted products made by you.